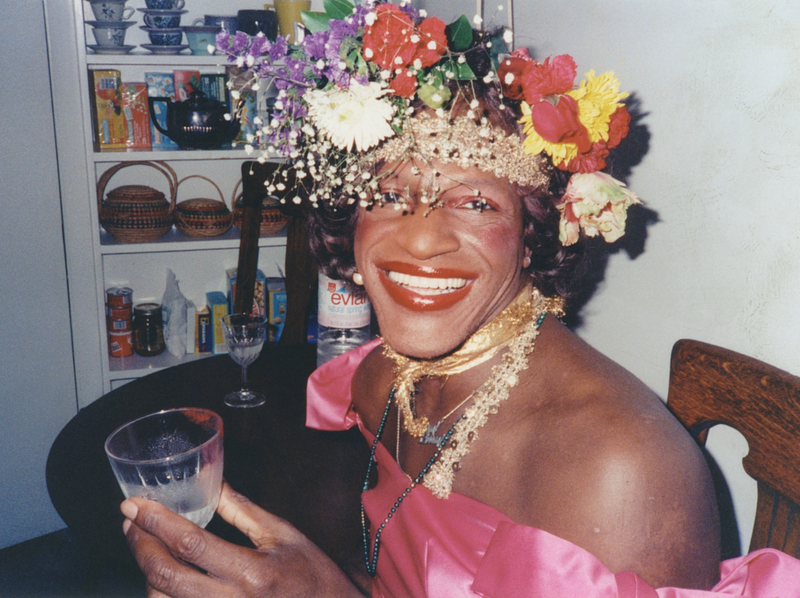 Was Marsha P. Johnson Killed Because of Her LGBT Activism? In 1992, 23 years after the start of a movement Johnson played a pivotal role in launching, she was found floating in the Hudson River near the West Village piers in New York City. At the time, the Police Department called her death a suicide—an assertion many immediately objected to. In the film, Cruz takes it upon herself to re-examine what happened at the end of Johnson’s life. We meet Cruz heading to the New York City Anti-Violence Project, where, after a meeting with staff members, she says that Johnson’s unsolved murder is one she wants to try to solve before retiring. While Cruz explores the moments before Marsha Johnson’s life was tragically taken away, we are treated to a history lesson about the contributions she and Sylvia Rivera made throughout their lives. Together, they formed the world’s first trans-rights organization, STAR (Street Transvestites Action Revolutionaries), in 1970, and established the STAR House, which provided shelter for the trans population. Through old footage of each of them, we are able to see the pioneers talk about the history they made on their terms. “Darling, I want my gay rights now,” a gingery but very serious Johnson says to a reporter. We later see Rivera at a 1973 gay-rights rally in which she admonishes unwelcoming attendees for being exclusionary to women like her, dismissing them as “a white middle-class club.” Johnson and Rivera championed rights for all and called out those who failed to do the same. The history lesson feels vital, given releases such as 2015’s Stonewall, which was roundly criticized for whitewashing the history of the Stonewall riots and sidelining the trans women who participated in it. Johnson played a minimal role in Stonewall, which was directed by Roland Emmerich, who claimed that the story needed a “straight-acting” white male protagonist. Johnson deserves wider recognition for her role in the advancement of LGBT rights, and The Death and Life of Marsha P. Johnson honors her the way she deserves to be remembered. And on a personal note, as someone who, upon coming out, used to roam Christopher Street and the very pier near it where Johnson was found, it was a reminder that while we all have our burdens as an “other,” some of us face far greater consequences than others. I only learned about Marsha P. Johnson as an adult, and I know how shameful that is. The film is very much a meditation on the life of Johnson and those around her from that era, as well as an indictment of the reality that many of the burdens that plagued Johnson still hurt trans women today—and how it’s our collective fault. In the midst of Cruz’s journey in investigating what exactly happened to Johnson, we also bear witness to more recent murders of trans women. Featured in the film is the tragic death of Islan Nettles, who, on a street in Harlem just after midnight on Aug. 17, 2013, was knocked to the pavement with a punch and repeatedly hit as she lay on the sidewalk. The trial of her attacker, James Dixon, is followed as Cruz digs for details on Johnson’s whereabouts before she died. Ultimately, Dixon was sentenced to only 12 years of prison for manslaughter. Anyone who can brutally kill another person for no reason other than ego and ignorance warrants greater punishment. “This person beat my baby with their bare hands to death, and I don’t feel he should walk in the streets because my baby can’t walk,” Nettles mother said to the media about her child’s killer. As for Johnson’s death, Cruz is never able to completely pinpoint what happened to her. We hear that she might have been the victim of violent cops, or “four guidos” who were seen patrolling the prostitution strip that Johnson frequented. it is also suggested that her death may have been mob-related. At the time, the mob controlled New York City’s gay-bar scene and were angered that Johnson’s roommate had tried to force them out. In late 2012, prosecutors reopened the investigation into Johnson’s death, which was changed from suicide to “undetermined” in 2002. The Death and Life of Marsha P. Johnson is compelling in its ability to highlight the hierarchy among even marginalized groups and, unfortunately, in how it pinpoints exactly how, in many cases, the more things change, the more they remain the same. Still, anyone who watches the doc should be motivated to better help a community described by one person as “the most despised minorities.” To have urgency instead of ambivalence. To not do what those in charge of investigating Marsha P. Johnson’s death did: ignore the wrongs you see before you.